Deja Jones | Purposefully Pretty Inc. If someone would have approached Deja a few years ago and told her this is the life she would be living, she would have laughed at them or brushed it off. A shy and timid girl, so unaware of herself, yet so intelligent, it all started with a moment of self-realization for her. Deja Jones considers herself to be a Jackie of All Trades. 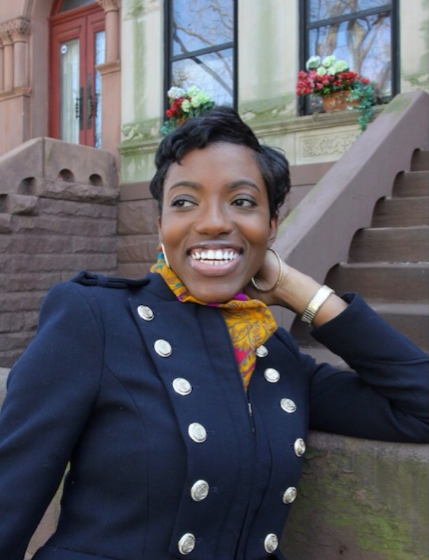 She is currently a digital content writer and storyteller, whose work has been featured on sites such as Madame Noire, Saint Heron, the Black Voices Channel of Huffington Post and Upscale Magazine. She loves sharing and highlighting black millennials doing amazing things. 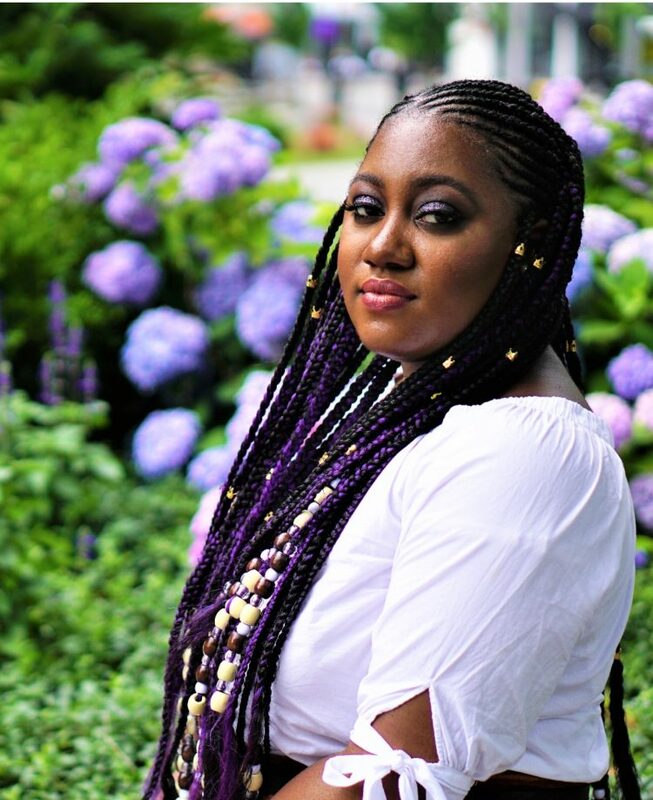 In addition to working in media, Deja also realized that she loved sharing knowledge and connecting with teenagers, so during her summer months in undergrad, she would take on summer jobs as camp counselors and youth development specialists for her local Boys and Girls Clubs and YMCAs. After working in digital media full time for a few years, Deja found that writing was more of a passion that had become work, she found herself trying to figure out what she truly wanted to do with her life. She went back to school for a Masters in Education and taught English to high school students and things started to click. She realized how unprepared her students were to function successfully in a changing society, she realized how lost most of them were, she saw her own life in theirs and decided she wanted to do something about it. She grew tired of complaining about the lack of intervention and agency programs for young women of color in her city. She grew tired of just having discussions and wanted to do something that tangibly prepared young women to be all that they could be, so they would not find themselves lost and confused navigating their journey into adulthood and decided to do something about it. 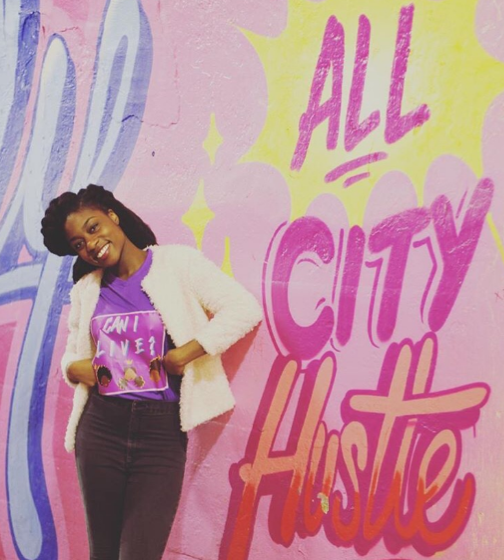 Recently, Deja founded her own empowerment organization Curate Your Life, as a way to address the needs of women and young girls in and around New Jersey through life skills workshops and programming. Through Curate Your Life, Deja has hosted a variety of “Sisterhood Sessions” which are activity based small group life skill facilitation events that helps to build sisterhood relationships while preparing young women with a tool for success. She has hosted a few #YouOkSisNewark meet ups which is a sisterhood wellness collective for working professional women and college aged women that focuses on the mental, physical and emotional health needs of women. Since Curate Your Life is an organization that runs 100 percent on collaborative efforts, the annual summit is a culmination of all those things. 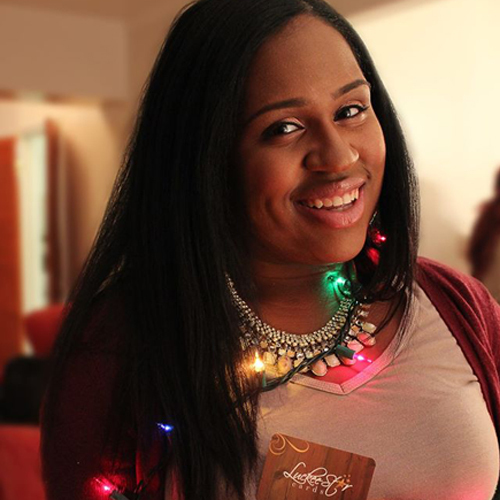 Deja graduated from Rutgers University-Newark in May of 2012 with a Bachelor of Arts in Journalism and Media Studies. She went on to get a Masters of Education in Administration and Leadership. Although Deja has accomplished many things she considers her greatest accomplishment to this date is launching Curate Your Life. She is currently planning the 2nd Annual Curate Your Life Summit set for January 2018. Deja has also launched #YouOkSisNewark as a healing circle and sisterhood wellness collective in the city of Newark recognizing the physical, emotional, and mental health needs of working women. She is also writing a few children’s books and working on a daytime women’s talk show set to launch this fall.